Mrs. Clean lives here! Impeccable condition!!! Updated bath with new vanity, commode, flooring and bead board. Large kitchen features knotty pine cabinets and open dining area. Carpet over hardwood floors. Pull down stairway to attic for extra storage. Nice deck and patio. Fenced yard. 1 1/2 car Garage with electric opener. Roof, furnace and central air approx. 2 years old per seller. A Must See! Direction: Dixie Highway/Valley Station Road/St. LISTING PROVIDED COURTESY OF Rebecca F Blevins, Coldwell Banker McMahan Co.
10308 Grafton Hall Rd, Louisville KY 40272 is a Home, with 3 bedrooms which is recently sold, it has 1,058 sqft, 68X135 sized lot, and 1 Car Garage,Detached,Driveway,Entry Front,Off-Street Parking,See Remarks parking. A comparable Home, has 3 bedrooms and 1.5 baths, it was built in and is located at 8814 Third Street Rd Louisville KY 40272 and for sale by its owner at $ 110,000. 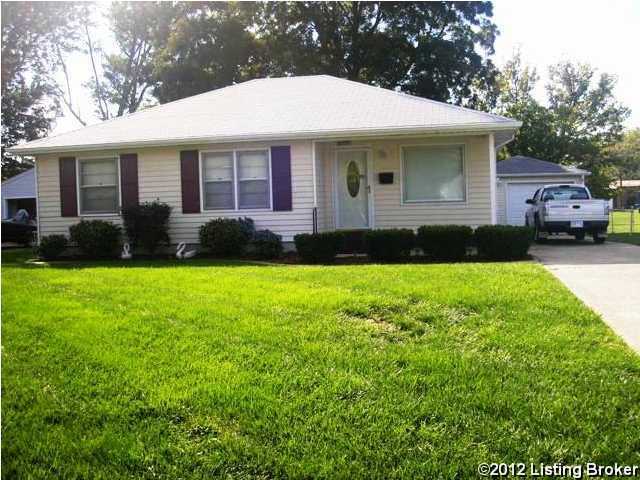 This home is located in the city of Louisville , in zip code 40272, this Jefferson County Home, it is in the NONE Subdivision, and WINDSOR FOREST are nearby neighborhoods.